One of my top objects - the NGC 206 open cluster within the M31 Andromeda galaxy. This is just a quick test shot before the bright moon rose - just trying to get the collimation and alignment correct with my new secondary mirror and new OAG/filterwheel setup. Note the two round blobs to the left of NGC206 are bad dust specks that even flattening can't remove. 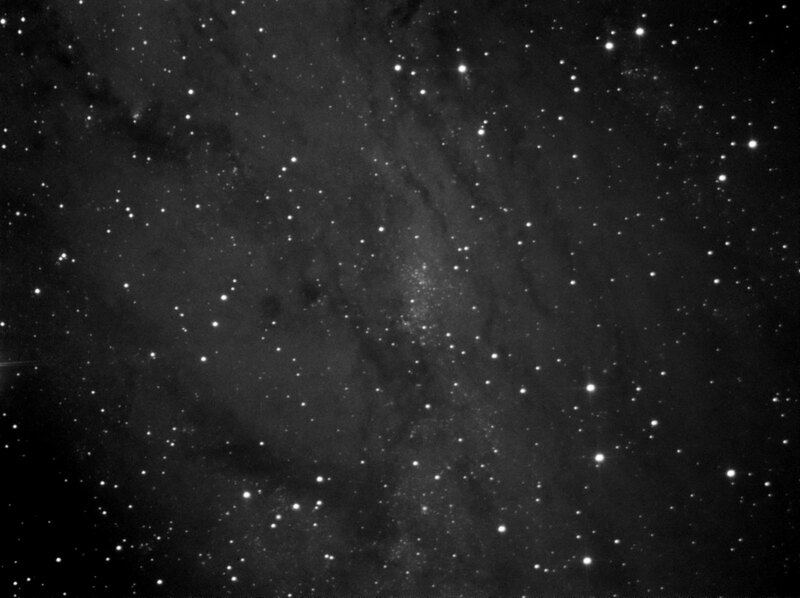 This image was autoguided using my homemade off axis guider and my black and white SC1 webcam.